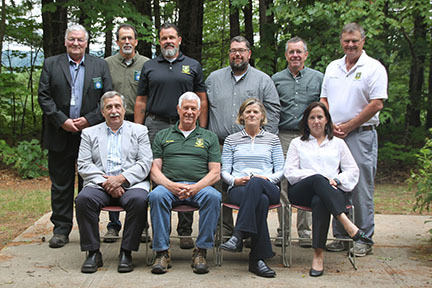 New Hampshire Fish and Game Commission members are appointed by the Governor, in consultation with the NH Executive Council. There are 11 members, one from each county in the state, plus one representing the coastal area*. Commission members must be well informed on the subject of fish and wildlife; no more than six commissioners may be members of the same political party. *By law (RSA 206:2-a), the coastal commissioner must reside in Portsmouth, Seabrook, Rye, Hampton, North Hampton, New Castle, Newington, Greenland, Stratham, Exeter, Newfields, Newmarket, Durham, Madbury, Dover or Rollinsford. Commission meetings are regularly scheduled each month at Fish and Game Headquarters, 11 Hazen Drive in Concord, NH (get directions). Meetings of the NH Fish and Game Commission are open to the public, unless otherwise noted. Please note there will be limited parking in specified areas of the parking lot due to setup for Discover Wild NH Day. *Minutes are not final until approved by the Commission at the following meeting. Provide the public with opportunities to use and appreciate these resources.